The Star Wars Rogue One movie comes out this week, so what better time to discuss moving over to the “Dark Side” than today? In the Life Sciences industry, there’s a close collaboration between people in Training and Development departments, and their outside vendors. In fact, many people cross over from one side to another at points in their career – some for a season, and others permanently. Life is not the same on both sides of this fence. We discussed what it is like to launch a consultancy in an earlier post, but for this article, I’ve interviewed three industry professionals who have worked on both the client and the vendor side. Here is the question we’re working with: what are the main lessons learned about the nature of work once we leave the training department and join the “Dark Side”? According to Andrea Pagnozzi (who has done multiple stints in training within pharma and medical device companies, and also worked for a time with a training vendor), one of the biggest realizations was how many people, and moving parts, were involved in developing training on the vendor side. While clients within T&D departments only see a few faces (typically an account manager and a project manager), there is, in fact, a whole host of professionals involved in a tightly-choreographed dance behind the scenes. Most vendors don’t burden their clients with all those details, and rightly so; however, it is important to remember that every change or delay in a project has ripple effects in the workflow behind the scenes. Having worked on the vendor side for many years, I know about this first hand. To help clients understand, I often show a picture of the inner workings of a clock – you know, the old-fashioned kind with lots of gears – to build awareness that there is just as much complexity and collaboration on a project on one side of the fence as there is on the other. That’s why a detailed project plan is so important – it keeps everyone on track so that the development process does not spin out of control. David Boyle, who has worn a variety of hats within large life sciences companies as well as with training vendors, stated that he has ended up learning far more about learning development from being on the vendor side. Those who cycle into training roles in pharma/biotech/med device organizations often only receive a bare minimum amount of training in project management and instructional design, and many times are not empowered to take a holistic view of existing training assets compared to the short-term necessities of the project at hand. As an outside supplier, David has found that he can often take a more strategic view of any given project and approach the needs more thoroughly. This underscores how important it can be to allow vendors to serve as strategic partners, and to bring their expertise and outside view to bear. This approach can end up saving enormous amounts of time and effort. Sue Iannone has occupied many leadership roles in major training organizations over the years, having worked on countless initiatives both small and large. Recently, Sue took on a leadership role with a vendor/partner, and her input to me revolved around how absolutely crucial it is (for both sides!) to arrive at a very clear project definition. Most of the time, we tend to have a basket of problems on our minds, which, when unloaded on a vendor, may lead to a lack of clarity. Sue suggests a strategic definition session when appropriate, perhaps including a whiteboard, to try to narrow down the scope of the project and arrive at the true strategic business imperatives. This approach helps clients to get exactly what they need. Those who know me well know that I often promote the phrase, “You can’t read the label of the jar you’re in.” One of the most valuable roles a vendor can play is to bring outside perspective and holistic thinking. All of us get too involved in our own forest and trees, and working more closely with smart and collaborative vendors in the definition process will always lead to greater success. One interesting point that those on the vendor/partner side bring up is that the opportunity set is different when working with provider companies. Vendors tend to be much leaner, and generally value creativity and initiative more than conformity and narrow focus. The pace is faster, the hats you wear are more varied, and the “cocoon” of infrastructure that one often enjoys on the inside of a client company just isn’t there. Moving in one direction or the other can be scary for some, but refreshing and empowering for others. In either case, it’s a great growing experience! Becoming a Consultant – Should You? In the commercial training arena for life sciences (pharma, biotech, diagnostics, medical devices), we do a lot of outsourcing to vendor-partner companies. I worked for one of those partner companies for 10 years, and, for the last 9 years, have served as an intermediary between life sciences training professionals and outsource vendors. I’ve seen good. I’ve seen bad. And I’ve seen ugly. So, how can you partner more successfully with your vendor/partners? 1. Always bear in mind that vendors can be a GREAT resource. Your vendor-partners typically have unique expertise in an area you need help with – managed markets, instructional design, curriculum development, technology, meeting logistics, and a whole host of other disciplines. 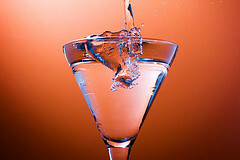 But beyond this, the people you get to know on the vendor side have networks and contacts that can be of immense value. As you develop vendor partnerships, don’t forget to sit down over coffee or lunch periodically and just TALK. Your next job role, or a crucial new resource, or some vital bit of industry insight, may come from getting beyond current client/vendor titles and just enjoying some human networking. Further reading: Networking is Gold-Mining. 2. Your current role is only temporary. 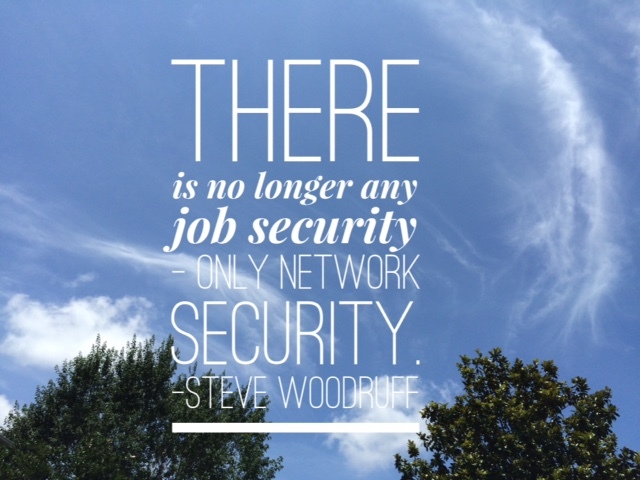 There is no job security – only network security. Therefore, you should not only network pro-actively with your peers inside your company (and in other life sciences companies), you need to remember that your vendor-partners most likely have a breadth of contacts across the industry. You not only open doors for them; they can open doors for you. When you realize that you should continually be transition-ready, vendors are not bothersome entities – they are valued friends. Further reading: Career-transition Ready is the New Black. 3. Working with vendors with a win-lose, scarcity, competitive attitude is a losing game. You’re not there to “beat” your vendors, winning some game such that they lose. That’s incredibly short-sighted and counter-productive. Burning bridges by being a jackass is going to come back to bite you. Your most successful projects will involve working collaboratively with your partners so that everyone looks great at the end.